If you work on demolition sites, you already know the tremendous power and versatility of using pneumatic tools to get the job done fast. Pneumatic hammers, chisels, drills, grinders, saws, and other air-powered tools are critical for both demolition work, especially in an industrial setting. The problem is that all too often you need to use multiple pneumatic tools simultaneously, but you’ve only got one air compressor. You could always swap out each tool as you go, but to change even one tool out safely can be a time-consuming task. Furthermore, you don’t want to create potential safety hazards every time you need to change tools. What you need to solve this problem is a pneumatic manifold system. What is an Air Manifold? In the simplest terms, an air manifold or pneumatic manifold for a pneumatic air compressor allows you to connect multiple hoses to a central point on your worksite. It creates a junction box for using multiple tools on the same compressor without needing to run a separate line for each tool. There are various size manifolds equipped with multiple ports to run multiple tools. Why Would I Need an Air Manifold? Let’s say you do mostly heavy demolition work with pneumatic tools, so you have an air compressor to power your tools. Not only is this compressor inconvenient to move to and from the job site, it’s also nearly impossible to move between levels or across the site without significant effort. However, you need air for a paving breaker up on the 4th floor, as well as a chipping hammer for smaller work. In other cases, you may need access to compressed air on the other side of a job site, and you may not be able to move the compressor to the area. With a compressed air manifold, you can leave your compressor where it is and run a single hose to where you need air for your tools. Connect the main hose to the manifold, then connect your tools and short run hoses to the ports on your air manifold. 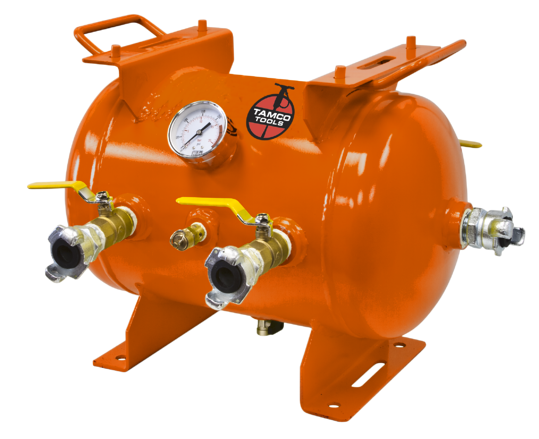 You now have compressed air access anywhere you need it, and you don’t need to run multiple hoses or shut off the compressor to swap tools frequently. If your jobs frequently require compressed air for multiple tools in a hard to reach area, a good air manifold can save a tremendous time and labor around a job site. Need a high quality air manifold for your demolition jobs? 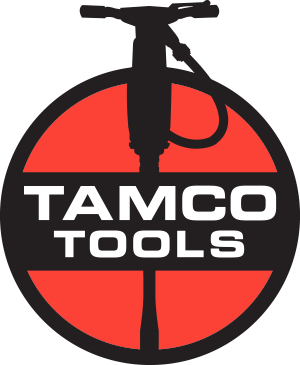 Tamco Tools offers air manifolds of various capacities that conform to industrial safety standards. Be sure to see our post on Air Tools here. Deciding on the right tool for the job takes some planning and consideration. Give us a call so we can get the right tool into the right hands, to get the work done! The right steel can make a difference!